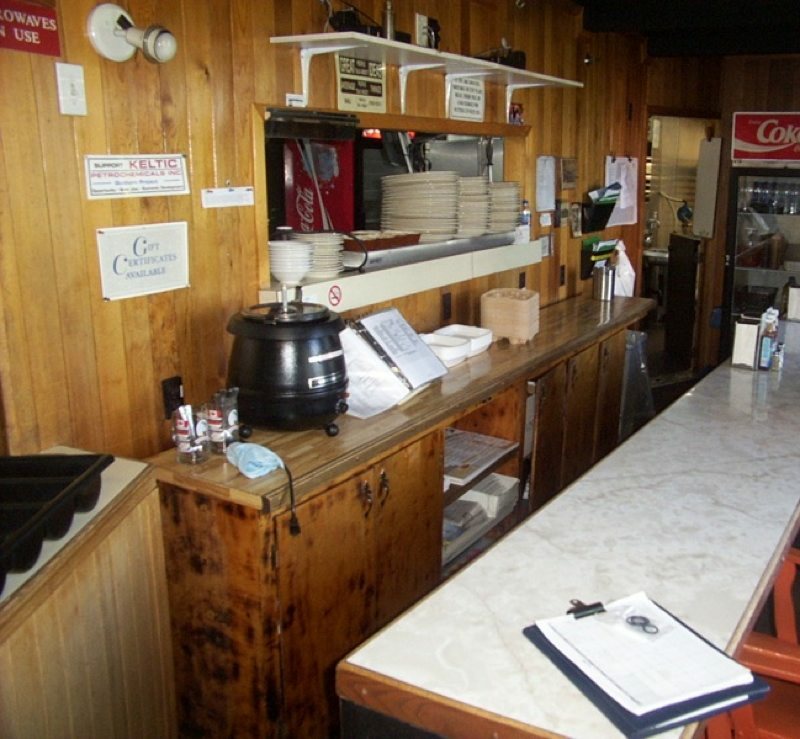 A local restaurant, Mother Webb’s, located in Lower South River are updating the look of their coffee bar area. They asked me to replace the 9 ft long cabinet that is located behind their counter. At 9 ft long I decided to make three 36 inch long cabinets. The client asked that the cabinets be completely made of solid pine. Here it shows I’ve already constructed the cases and have the countertop panels in clamps while the glue dries. On the work table are the rails and stiles for the six doors. Door rails and stiles are set out. Now to keep them in order while making the mortise, tenons and dado cuts! Mortise and tenon solid pine door parts. Next step is to glue up the door panels. Panels are actually the 3 inch T&G pine, sometimes called “cottage pine” or “packaged pine”. Customer asked for cabinets and doors to match with interior decor of the restaurant. Inserting the T&G pine boards. Plenty of parts to frame and panel doors. Solid pine frame and panel cabinet doors. Lots of clamps are needed! I made a squaring jig to assist in glueing up the cabinet doors. Glued up panels in clamps. Three coats of clear lacquer are applied. Cabinets are now ready to install the doors and hardware, then to install on site.